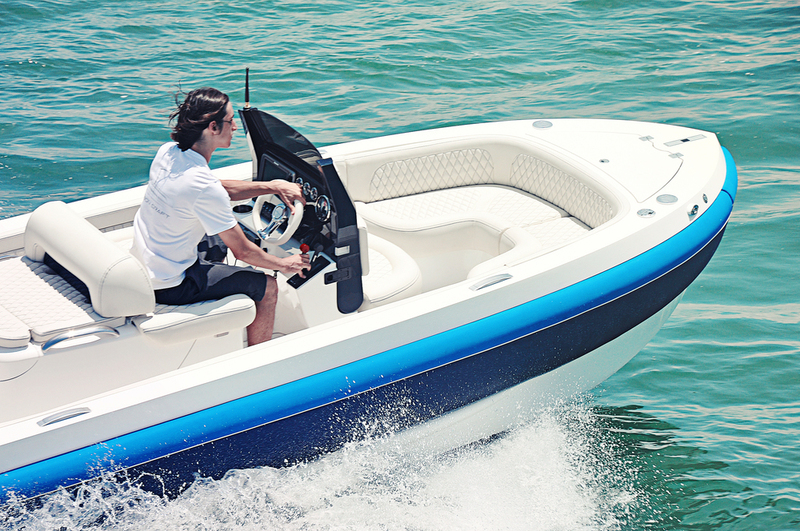 The Flagship CC180 yacht tender is our most powerful tender yet. Its 295hp turbo diesel delivers exhilarating performance. Its closed cell collar, deep hull protection and storage innovations set new standards for comfort in luxury yacht tenders. With an optional 295 HP Turbo-Diesel, we put an incredible amount of power in your hands so you can take on the open ocean. Hand stitched deep sofa-like seating surrounds guests in comfort and luxury. Safely stow belongings in one of ten storage compartments carefully designed throughout the cockpit. 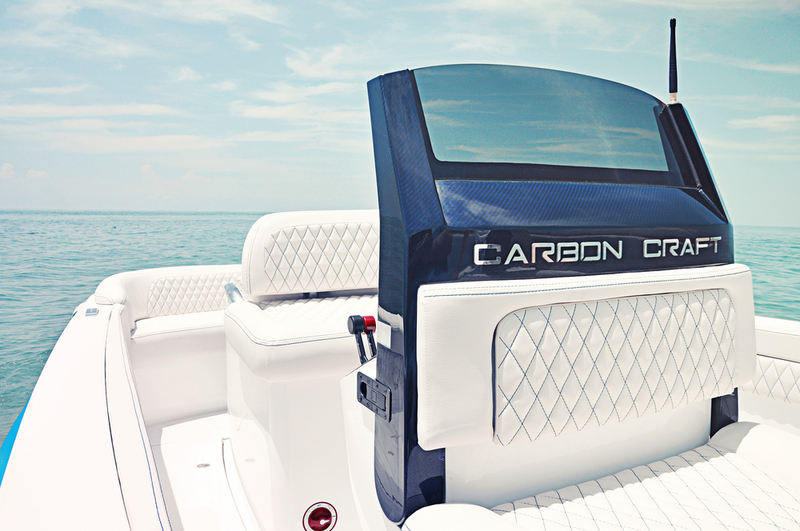 Carbon Craft is dedicated to working with each customer to ensure the right fit on any yacht. Contact us directly for a fitment evaluation or download our fitment drawings below to check your fit. Jet Back Flush & Inboard Cleanout. With the optional ZF transmission and inboard jet cleanout, diving to clear a clogged impeller is a thing of the past. Relief is knowing that you're back on your way with just the push of a button. Every Carbon Craft tender is distinguished by a colorful closed cell foam collar that protects the tender and your yacht from surface damage. The collar has been designed to deflect spray while underway or approaching wake at harbor speed in order to create a truly dry ride. Boasting two sets of Gunwale hatches, two ski lockers, a forward anchor locker, a spacious under seat compartment, and a lockable belongings trunk, the CC180 utilizes space so well, it will change the way you use your tender. With increased lateral stability, high freeboard and a wide gunwale, boarding with safety and confidence is easier than ever. Utilizing every inch of available space, the hand-stitched interior surrounds guests in comfort and luxury. With deep sofa-like seating you'll feel at home anywhere you go. 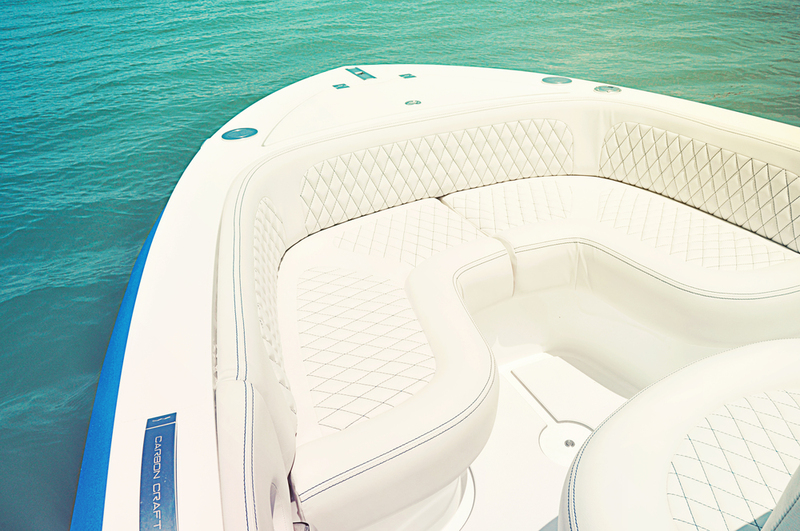 The tender is an extension of your yacht. What is important to you is important to us. Our yacht matching materials program will make sure your tender is a perfect match for your yacht. Contact us to see how we can customize your Carbon Craft for your luxury yacht.